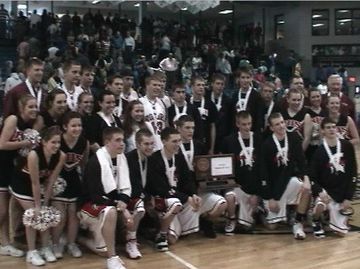 It was a great season and a third place finish at the State Tournament was a great way to close out the year. 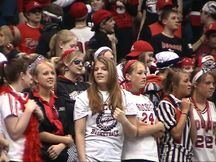 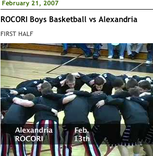 In this story we capture the welcome home at the ROCORI High School and the Medal Ceramony for the Third Place game. 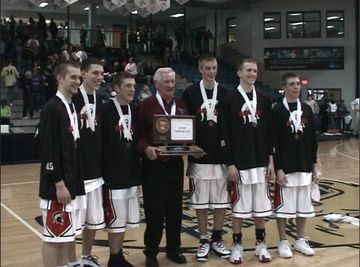 The six seniors gave us something we have never seen before. 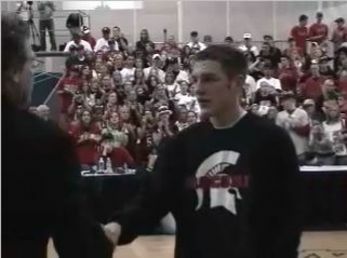 It was a record year for the Spartans boys basketball team. Along with a few heartbreaks came many triumphs. 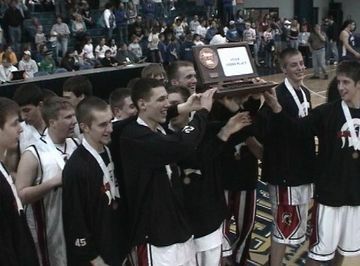 Congratulations to this year's Class 3A State Boys Basketball Third Place Winners, our ROCORI Boys Basketball Spartans. 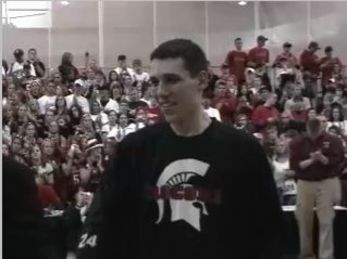 Justin Stommes is the tenth ROCORI boys basketball player to be chosen to attend the State Basketball All-Star game. 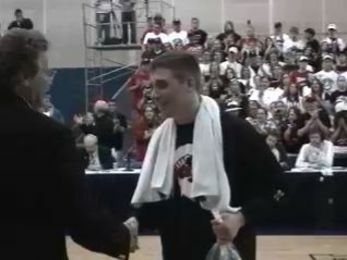 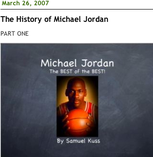 He started off by winning the dunk contest and then continued to wow the crowd with his play during the All-Star game. 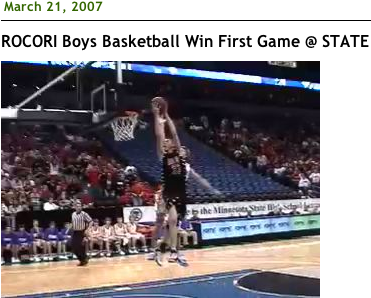 He had a couple more dunks during the game and finished with 11 points, 8 rebounds, and 6 assists. 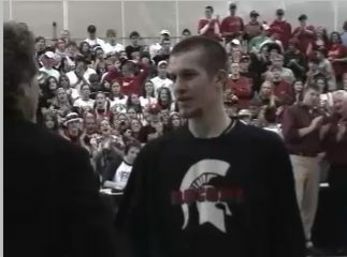 Its been a real treat to watch Justin for 3 years and we wish him the best next year at Eastern Kentucky. 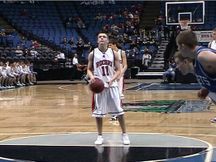 This story features an interview with Justin and Coach Matt Hibbison. 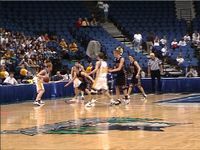 At the State Tournament last week, Justin Stommes and Aaron Burtzel were both chosen as a part of the All Tournament Team. 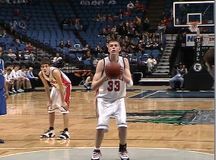 Justin Stommes Named To Associated Press All-State team for Minnesota boys' basketball, as voted on by statewide media. 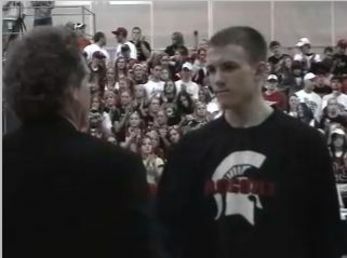 Justin Stommes Named As St. Cloud Times All-Area boys basketball PLAYER OF THE YEAR! 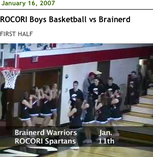 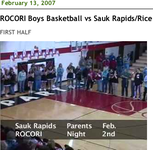 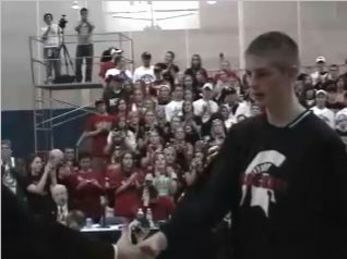 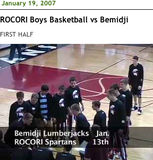 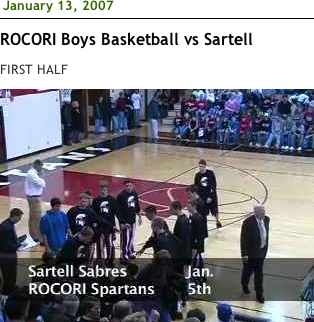 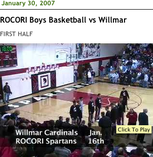 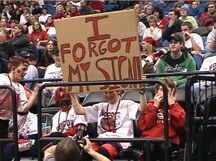 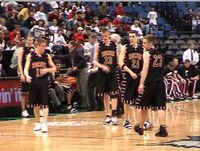 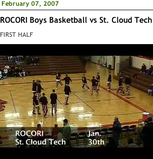 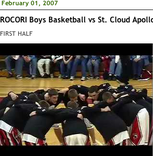 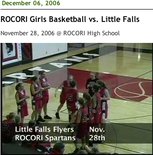 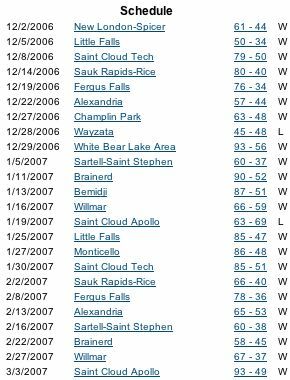 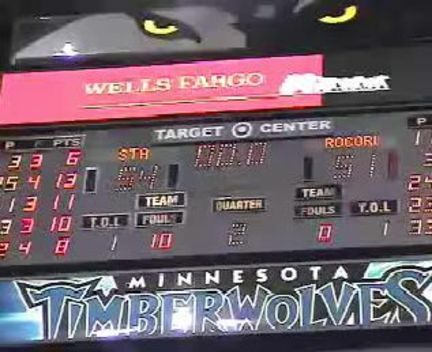 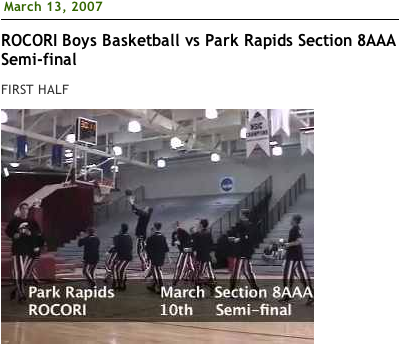 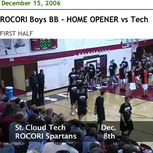 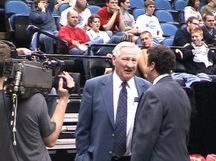 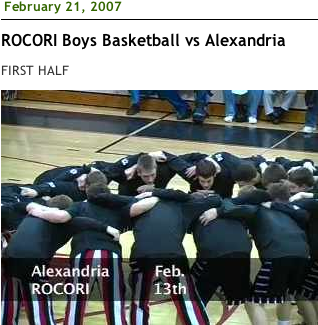 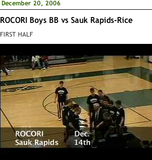 In the hard fought battle between our own ROCORI boys basketball team and the St. Thomas Academy Cadets at the 2007 State Tournament... the game would go "just 30 seconds too long" for the Spartans. 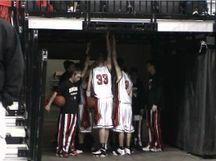 This short teaser includes the highlights of those final seconds. 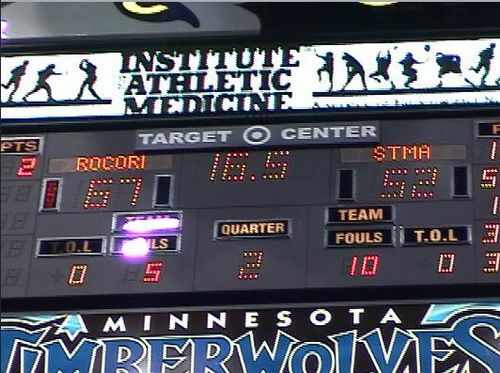 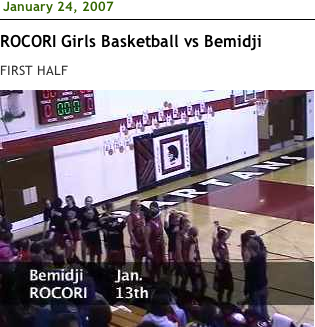 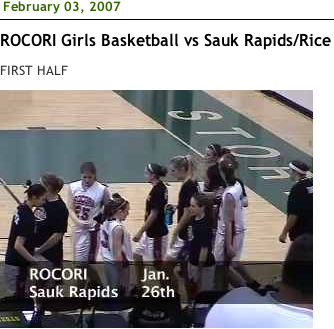 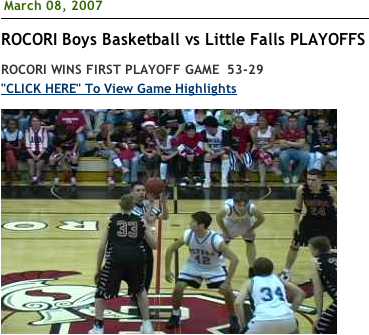 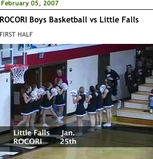 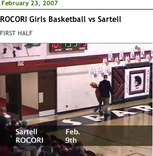 The lead went back and forth throughout the game with ROCORI on top by 7 with just under a minute left in the game. 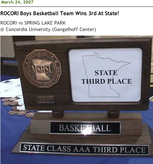 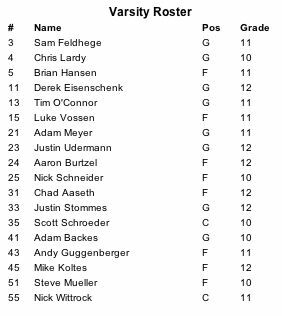 ROCORI will play for third place against Spring Lake Park on Saturday, March 24th @ 2:00 pm, on the campus of Concordia University in St. Paul. 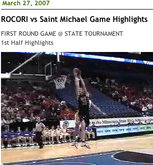 See total game highlights on DigElogROCORI early next week. 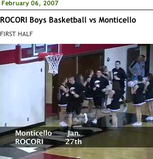 In the quick clip above you'll see ROCORI Senior Justin Stommes break the back of the St. Michael team with a backwards slam dunk that really changed the course of the game. 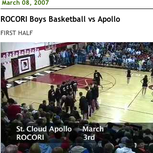 ROCORI Plays at Noon tomorrow against last year's State Tournament opponent St. Thomas Academy and DigElogROCORI will be there.